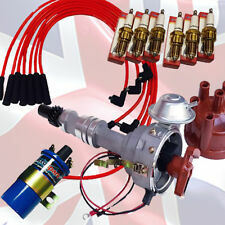 New electronic conversion kits to change any distributor from Points to electronic ignition. 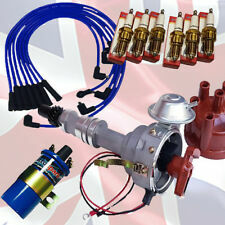 Electronic Ignition Kit replaces points in your distributor. This kit is for negative earth cars only. connect the Red wire to the side. 1xSpark Tester. Note:Avoid fire, the ignition coil burned out and so on. quality of the coil. 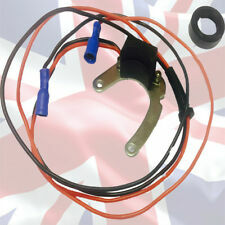 Can intuitively convenient to understand the operation of the ignition. We will reply you within 24- 48 hours.